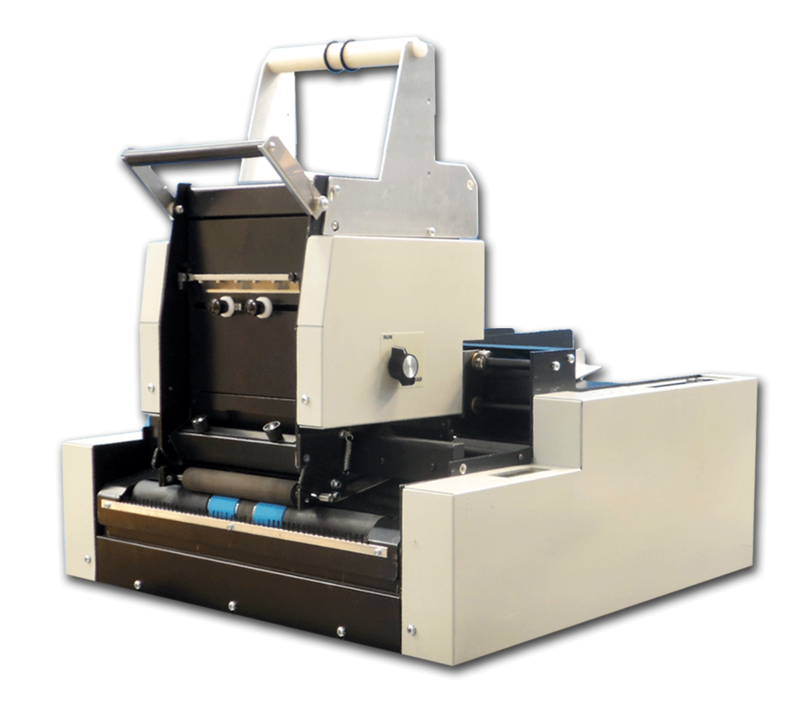 DoraniX introduced the concept of fully integrated Label Applicator Systems. 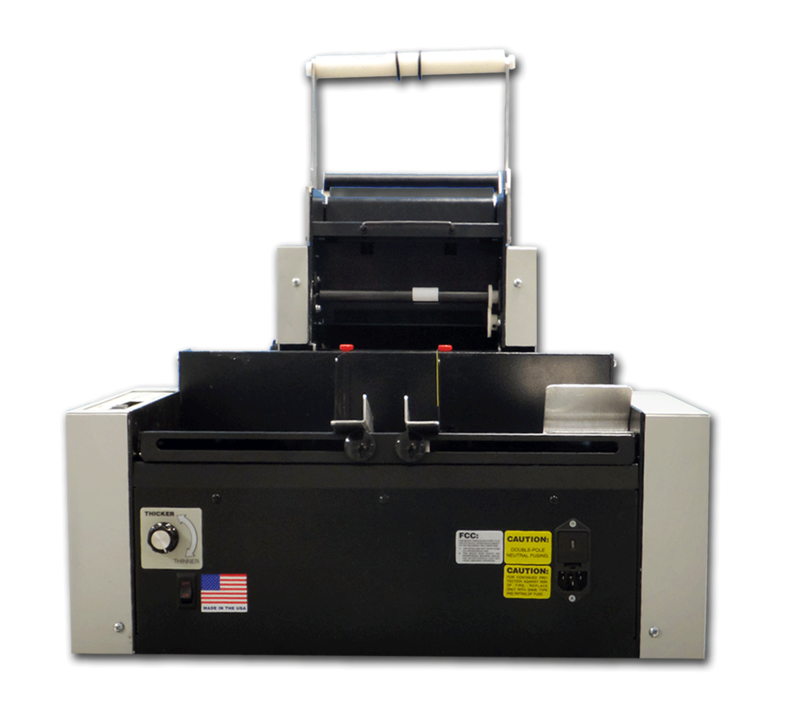 Our LPA 5000 automatic label applicator is based on a heavy-duty bench top integrated mechanism with state-of-the-art electronic controls. The Integrated Feeder and Conveyor result in reduced volume and cost ($10,000 or more compared to separate components) and allow Out-of-Box operation without 3rd party assist saving additional cost and time. Only electrical power is required for the LPA 5000, no compressed air, which is especially important for cleanroom environments. 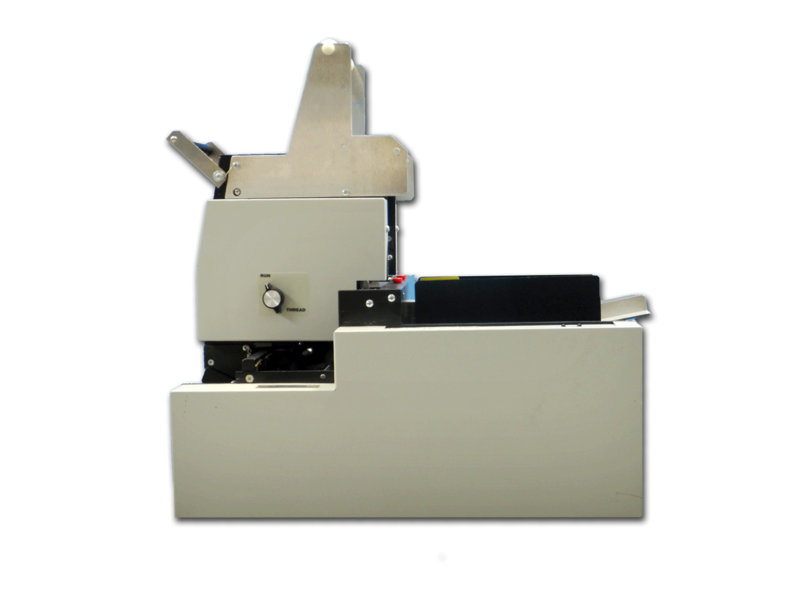 All integrated labeling systems are custom configured at the factory in accordance with Package/Media Type and Sizes. 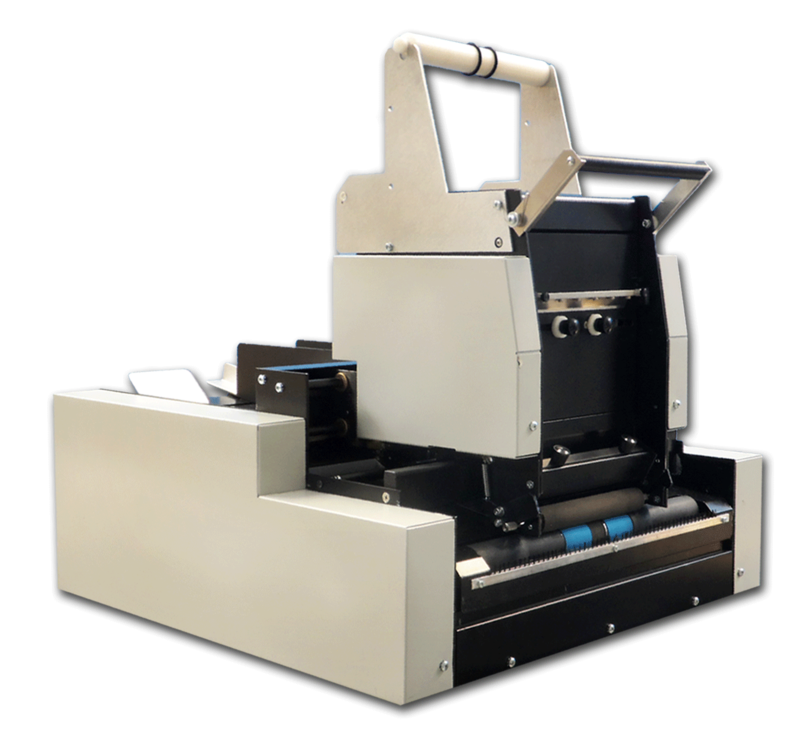 In addition to Pre-Printed Label Applicator systems, many bench-top thermal transfer printers may be integrated with the system. 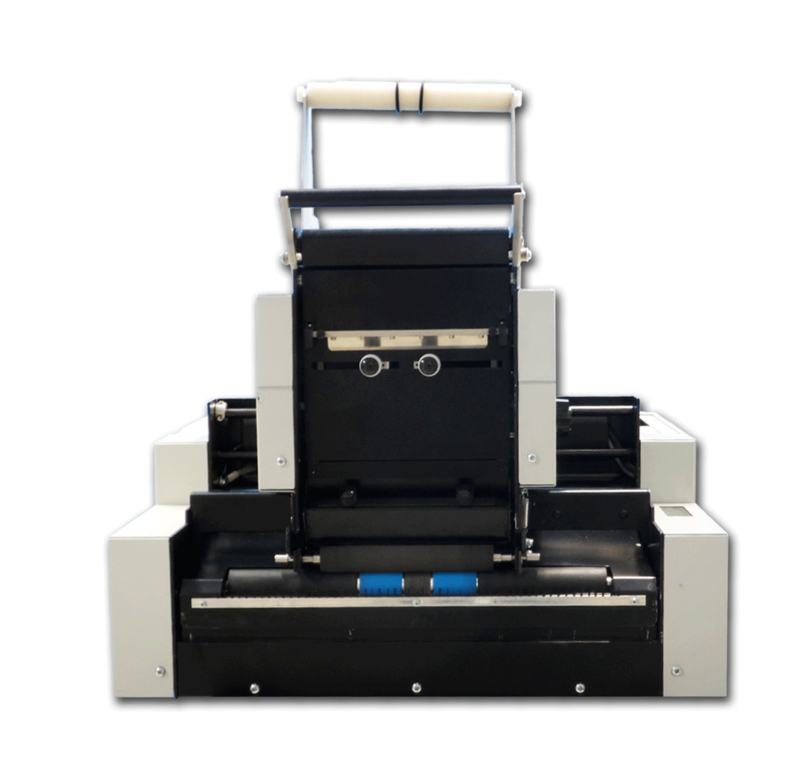 Please see our LPA 7000 series for more information. 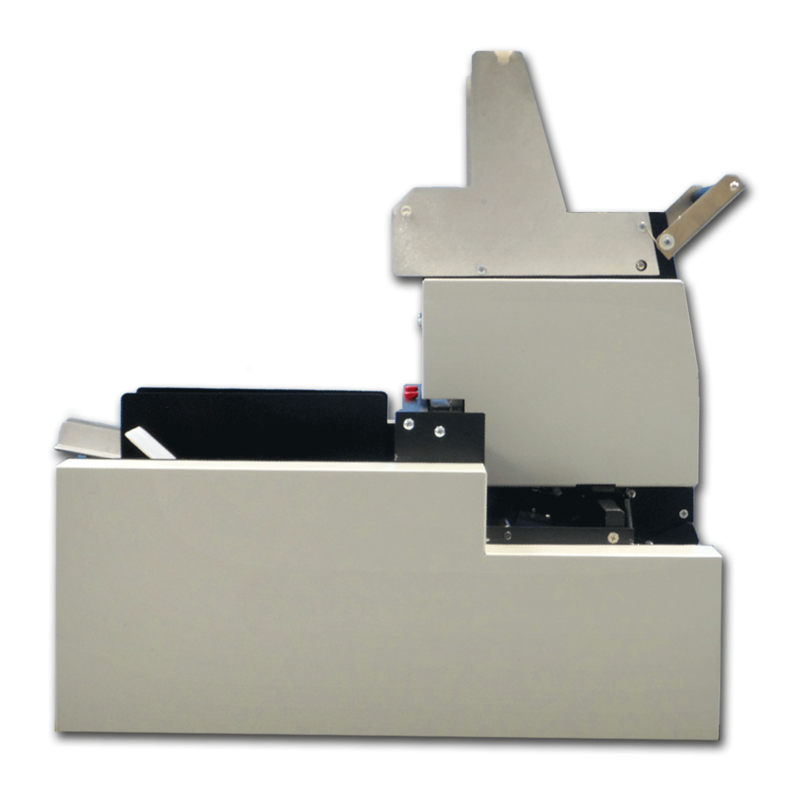 Following are the general specifications for the LPA 5000 Series of Package Label Applicator Systems. Specific specifications are dependent on system configuration.